Enfields are delighted to bring to the market this extended, semi-detached family home in the popular residential area of Hythe. The property comprises of a substantial lounge, dining room, modern kitchen with utility room, downstairs cloakroom and study. 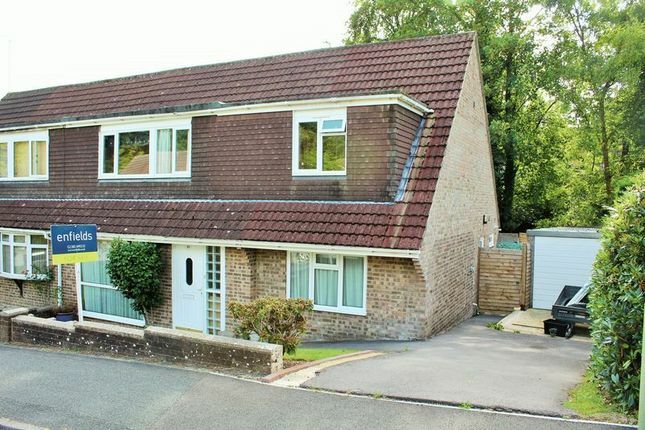 Further benefits include four double bedrooms, family bathroom, driveway with a garage for multiple cars and an enclosed rear garden. Please call Enfields Hythe on to arrange a viewing. Front aspect double glazed windows, wood effect laminate flooring, radiator. Low level W/C, hand wash basin, side aspect double glazed windows, tiled floor. Front aspect double glazed windows, telephone and television points, under stairs storage. Open plan. Double glazed rear door leading to patio, radiator, wood effect laminate flooring. Front aspect double glazed windows, wood effect laminate flooring, spot lights, radiator. Rear aspect double glazed window, wall, base and drawer roll top units, tiled back splash, sink with drainer and mixer tap, space for oven and fridge / freezer, tiled flooring, spot lights. Roll top work surface, space for washing machine, side aspect double glazed door, tiled flooring. Rear aspect double glazed windows, low level W/C with push flush. Front aspect double glazed windows, fitted wardrobe and drawers, radiator. Rear aspect double glazed windows, W/C, walk-in shower, panel bath, vanity wash basin. Front aspect double glazed windows, wood effect laminate flooring, radiator, television point. Rear aspect double glazed window, radiator, television point. Front aspect double glazed window, wood effect laminate flooring, built in storage, radiator. Mainly laid to lawn, driveway parking for multiple cars. Mainly laid to lawn, panel fence, raised decking area, mature shrubs. Parking for multiple cars, detached garage with up & over door. New Forest District Council. Tax Band D £1,708.41 Payable 2018/19. Orchard Infant School. Orchard Junior School. Applemore College. From our Enfields office in Hythe turn right. Continue onto New Road. Continue onto South Street. Continue onto Southampton Road. Continue onto Langdown Lawn. Continue onto Beaulieu Road. Turn left onto Highlands Way.